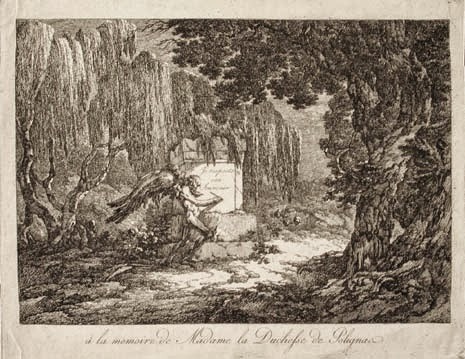 HomehistoryGabrielle De Polignac: Loyal Friend Or Greedy Social Climber? Gabrielle De Polignac: Loyal Friend Or Greedy Social Climber? 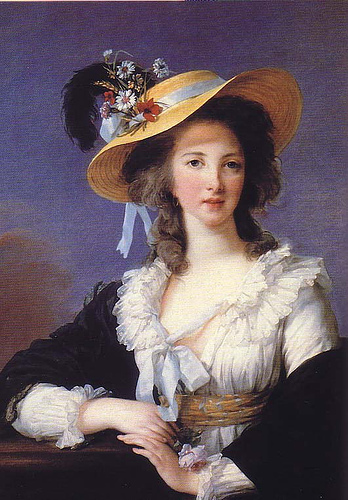 Gabrielle De Polignac was Marie Antoinette’s best friend. And just like the Queen’s, her reputation too was completely destroyed. She was accused of being greedy, spendthrift, pleasure-loving, of using her friendship with the Queen to get favours for herself and her family, and of leading her royal friend into an extravagant and decadent lifestyle. But was this the real Gabrielle? Yolande Martine Gabrielle de Polastron was born in Paris on 8th September 1749, into a prestigious but impoverished family. When she was still a baby, her family moved to the family château of Noueilles, in the province of Languedoc in southern France. Her mother died when she was only three, so Gabrielle was entrusted to an aunt, Madame d’Andlau, who arranged to have her educated at a convent, as was customary at the time. Maybe it was here that Gabrielle’s love for simplicity was born. She never wore perfumes or diamonds and preferred simple gowns. In her hair, she would often wear flowers. Gabrielle grew into a charming and beautiful, but discreet, young woman. She had an angelic face, with fair skin, blue eyes, tilted nose and a high forehead. At 18, she married the Comte Jules be Polignac, a 22 year old captain in the Royal Pologne regiment. Because of his, the couple moved to Paris where they lived with the groom’s father in the Louvre or at Claye. Gabrielle, who loved the country and the outdoor life, would have been content to spend all her life there, avoiding the court completely, but her sister-in-law had other ideas. Diane knew Gabrielle’s simple tastes and easy-going manner would captivate the new young Queen of France. That’s exactly what happened when the two women met. Louis XVI, who wanted to keep his wife away from politics and court intrigues, encouraged the friendship. During his grandfather’s reign, it had often seemed like France was ruled by his mistress Madame de Pompadour, which had been strongly disapproved by the French. If Marie Antoinette, who was a foreigner (and one that came from a country that up until a few years ago had been an enemy of France), was even just thought to meddle into political affairs, she would have become very unpopular, with disastrous consequences for the image of the monarchy. The best thing, Louis believed, was to have her to become friends with “politically safe” people (unfortunately, as we know, this precaution was useless). Life at Versailles was too expensive for the Polignacs, though. Gabrielle discreetly let the Queen know that. Complaining about “the injustice of wealth”, Marie Antoinette turned to Louis, telling him how much she wanted her friend near her. So, the King gave a high office to Comte Julies. The Polignacs’ debts were settled too. Gabrielle and Marie Antoinette became inseparable. 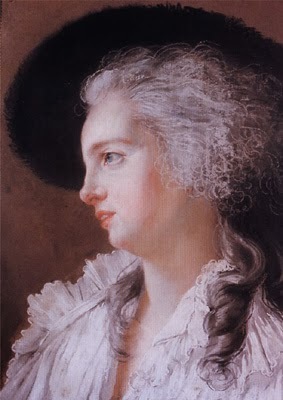 Gabrielle influenced the Queen to adopt simpler tastes and encouraged her to spend more time at the Petit Trianon, provided advice on marriage problems and child care and soothed the Queen in her most desperate moments (during the affair of the necklace it was Gabrielle that a sobbing Marie Antoinette summoned to comfort her). And, of course, they would gossip about the people at court. Marie Antoinette often visited the Polignac’s home, claiming she felt at home there. Even the King visited their house once. It was the only private visit he made during his reign. However, the Queen’s friendship with the Polignacs and their circle of intimates, which included Besenval and Fersen, soon aroused the envy and jealousy of those who weren’t part of it. Jealous courtiers started spreading all kinds of nasty and vicious rumours about Marie Antoinette and her friends. The most innocent amusement was turned into something cruel and lascivious. Gabrielle was accused of being Marie Antoinette’s lover and wasting the people’s money on expensive and extravagant whims. Although this wasn’t true, being a close friends of the Queen had many perks. Gabrielle, her family and connections received plenty of money and rewards. The Queen, for instance, gave the Polignacs 400,000 livres to pay off their debts, and another 800,000 as a dowry for their daughter. Some historians believe that Gabrielle was cunning and loved the extravagant and luxurious life at court more than she let on, while others see her as a helpless pawn of her family, who used her to gain money and favours for themselves. Truth is probably somewhere in the middle. In any case, it was normal for royal favourites, and their families, to receive money, titles, lands and offices. In fact, Cronin has calculated that Madame De Pompadeur, Louis XV’s mistress spent in just one year what Gabrielle spent in her 14 years at Versailles! 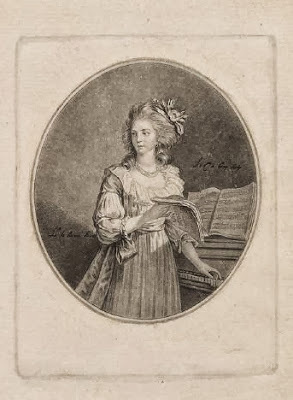 Gabrielle also infuriated her critics when she was appointed Governess of the Children of France when the princess de Guemene, after the bankruptcy of her family, had to give up the position. 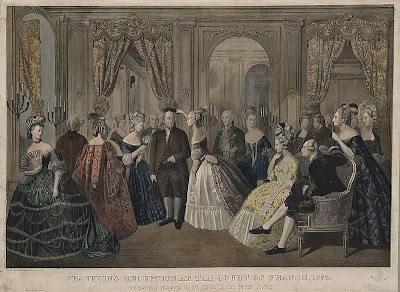 Rather than give the appointment to a woman belonging to a more prestigious family as custom demanded, Marie Antoinette decided to entrust her children to her friend, herself a devoted mother of three sons and a daughter. Gabrielle was also given a 13-room apartment at Versailles, while previous governesses had to make do with only 4 or 5 rooms. Gabrielle, though, took her job seriously. 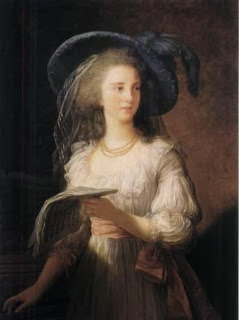 Madame de Tourzel, when she took over the appointment in 1789, found that the children had been well-cared-for and well-educated. Eventually Marie Antoinette began to tire of the Duchess de Polignac and the ambitions of her family. There are mentions of quarrels between the two friends. But when the Bastille was stormed, Marie Antoinette, fearing Gabrielle may be murdered, begged her to leave. The duchess refused. She wanted to be there for Marie Antoinette and Louis in their hour of need. But the Queen wouldn’t have it. “Remember that you are a mother,” she told Gabrielle. Two days later, on July 16, the Polignac family left Versailles. They went first to Switzerland, then to Venice and finally settled in Vienna. Gabrielle was a loyal friend of the Queen. She, and her family, did benefit from the relationship, but not more than any other royal favourite did. When you rose, so did your family. It was a common, normal occurrence. What wasn’t normal was the time Gabrielle lived in and the situation France was in at the end of the 18th century. Political enemies used calumnies to bring down the monarchy and Gabrielle, as a close friend of the Queen, became one of their victims too. Those lies were so disgusting and widespread that eventually people believed that Gabrielle had done something to deserve her reputation as a greedy and lewd lady. She didn’t. Gabrielle wasn’t perfect. But she deserves to be judged on her own merits and faults, not on the lies that still haunt her.